This is a balanced force because, the people are pushing the box towards each other, so the box is still this makes it a balanced force. 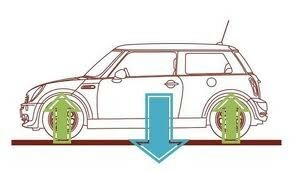 Another example of a balanced force is, a car on the ground not moving at all this is a balanced force because it is giving the same force to the ground as the ground is giving the same force to the car. 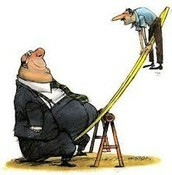 The 3rd example of a balanced force is, like the first picture but different is tug o war. If you can't read the picture it says, "Forces on a object that do not change the motion of the object" This is explaining what a balanced force is. It also says, "The rope will not move because there is the same force on both sides." Because there is the same amount of people the force will be equal. 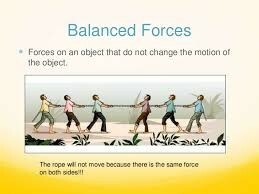 Next is unbalanced force, a example is a bigger man with more force bringing the smaller man with less force up, the force is not balanced because there is not the same force, unlike balanced force. Another example of a unbalanced force is, a side with more "N" than a side with less "N" the force is unbalanced because it is not the same force there are less and more of something, there is not the same amount, and that makes it unbalanced. The last example of another unbalanced force is, tug o war, if there is 3 people on one side of the rope and 4 people on the other side, then the side with 4 people will have a greater chance of winning unlike the other side with 3 people, the chance of winning is unbalanced.